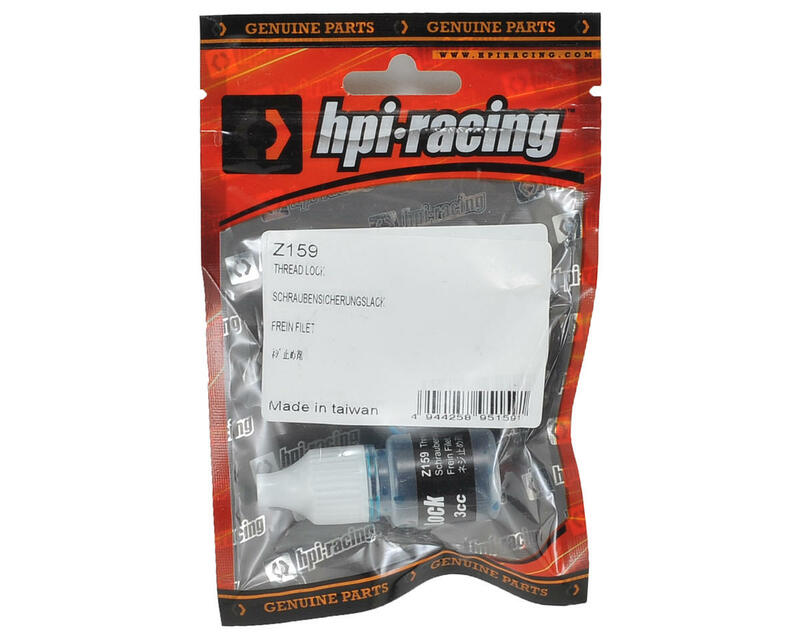 This is a 3cc tube of HPI Thread Lock. Thread lock is applied to screws in metal to help prevent them from vibrating loose when the car is in operation. If screws are removed, thread lock should be re-applied when replacing.